Older workers looking for work are often alienated by outdated hiring practices, according to employment minister Esther McVey. McVey was commenting on a Recruitment and Employment Confederation (REC) report in which one-third of employers admit they should be doing more to provide opportunities for older workers. The survey of 200 UK employers also suggests that 37% cite advertising as a hurdle to attracting workers over 55-years-old. One in five employers said that the language used in recruitment campaigns should be inclusive for all age groups – while 17% said that organisations should look beyond solely advertising online to ensure candidates of all generations are reached. “Despite the recent impressive trends in those over 50 getting back into work, older workers still in many cases face outdated stereotypes when it comes to business hiring practices,” she said. DWP business champion for older workers Dr Ros Altmann added that it is vital for the economy that people living longer and wanting to work are given the opportunity to do so. “Businesses need to act now in order to benefit from the extensive skills and experience that older workers bring. It is important not to rule out older applicants when recruiting new talent,” she said. Finally REC chief executive Kevin Green suggested focusing on older workers could be one way to address the UK’s burgeoning skills crisis. With monthly unemployment figures due out this week, the usual attention will be paid to fluctuations up and down. In last year’s Mid Year Economic and Fiscal Outlook Treasurer Joe Hockey predicted that unemployment could reach 6.5%, which is 0.25% higher than was predicted in the federal budget. How the unemployment figure is actually calculated became a hot media topic when the Australian Bureau of Statistics was forced to substantially revise its seasonally adjusted labour force figures for July and August. The ABS cited difficulty with seasonally adjusting the unemployment figure, which meant only the raw figure was used. These difficulties were attributed to a variety of factors and are now considered to be resolved. However these conversations gloss over how the official figure of unemployment underestimates the “real” figure of unemployment. For those of us who are interested in how unemployment contributes to the way we experience ourselves in the world, who is excluded from these figures is just as important as who is included. So who is missing from this key data set that we have been hearing a lot about recently? To answer this we need to look at definition of “unemployment” more closely. The International Labour Organisation states a person is unemployed if they have worked less than one hour, have been actively looking for work during the reference week, and could start a job in the week following. Recently, the ABS updated the Labour Force Survey to align “active steps” of job seeking with the ILO definition. 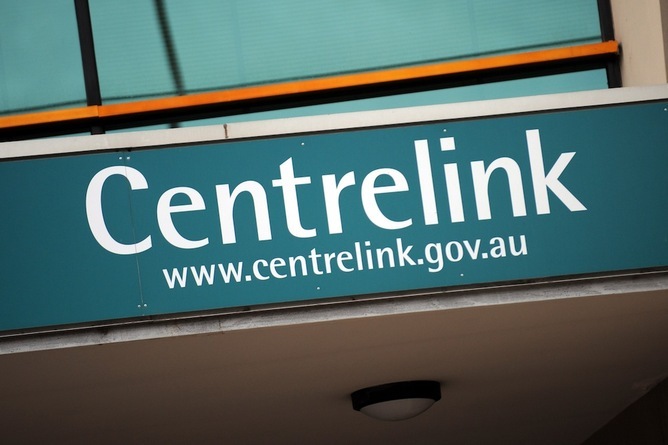 Now a person is considered to be actively looking for work if they, at bare minimum, call an employer to ask about a job position as opposed to reading through a job notice board or applying for Centrelink payments. Here we can see that a person who has given up on the job search, or feels so disheartened by the process that they looked at jobs on a notice board but did not make contact with any employer, are not considered to be unemployed and therefore are missing from unemployment figures. Economists refer to this cohort of unemployed as the “discouraged”. We consider this term to be a euphemism because when we turn to psychological and sociological studies that examine the experience of unemployment we find paperafter paper that discusses the detrimental psychological impact that unemployment has on a person. Such research documents this distress in terms of anxiety, stress, depression, suicide and lower self-esteem – that is, many people can be said to be excluded from the unemployed count because of the psychological impact of unemployment upon them. What do we do about unemployment, then, if it is so devastating to people’s well-being? “Activation” is one solution favoured by current government figures for the “problem of unemployment” in Australia and has been for some time now. Activation is not just about active job seeking or actively improving one’s skill base (increasing skills via training etc), it is also about actively working on oneself to improve one’s “job readiness” in terms of self-esteem, resilience and motivation. From this perspective any programs to improve psychological factors like “self-esteem” are to be encouraged. The problem with these programs of reformation is that they only contribute to constructing the problem of unemployment as the problem of the unemployed individual themselves, running the risk of becoming a form of victim-blaming which pathologises the unemployed and makes political discussions around the structure of employment, unemployment and the labour market even less likely. In discussions about unemployment and welfare programs it is rarely mentioned that mass unemployment is required by our socio-political regime, a contemporary form of neoliberal capitalism. The Non-Accelerating Inflation Rate of Unemployment is a term used by economists and politicians to refer to the level of unemployment, between 4% and 6%, considered necessary to prevent inflation taking off. We need to also consider that there just aren’t enough jobs to go around. Figures in August 2014, for example, showed there were approximately 147,200 job vacancies though unemployment totalled 735,500 people. Clearly unemployment can not be “solved” by unemployed people taking non-existent jobs and it is unreasonable to blame unemployed individuals for unemployment when there is no paid work. If our politico-economic system needs unemployment, the active labour market vitriol poured upon the unemployed is unjust as well as ineffective. Job interviews can be nerve-racking, especially if you’re stealing yourself for comments such as, “You’re too experienced”. In part one of our two-part series we look at what interviewers might be thinking when you sit down in front of them and what you can do to overcome any misconceptions. Unable to adapt well to change (for example, in technology) or new ways of doing things. Being past their prime and only capable of delivering a reduced performance. So, what can you do to combat these biases and other misconceptions? Shaw says be aware that stereotypes like these might actually exist. This will help you prepare positive responses to questions that might arise. “Understand what some of those myths and misconceptions might be and then ensure responses don’t play into the stereotype,” says Shaw. At the same time, she says it’s equally important to be authentic and honest in your responses. “Those things could well be on the agenda of most organisations,” she says. Biases can begin affecting the interviewer’s perception when they seek to establish if you can do the job (based on your knowledge, skills and experience); if you will do it (based on your motivation and resilience), and if you will fit into the culture of the business. When answering the questions, Shaw says be aware of your body language and the tone of what you’re saying. Make eye contact with the interviewer and have a positive sense of presence. It’s important to stay attuned to what you think the subtext is and remember that not all questions are evidence of a bias. Thinking this could cause you to misinterpret what is being asked. Shaw says that applicants will typically be asked questions in the negative, such as, ‘Tell me about a time when you did feel worn out,’ or ‘Tell me about a time when you didn’t feel up to date with what was going on’. Try to acknowledge the question and tell them how you managed that situation in a positive way. Have you been faced interview hurdles as an older jobseeker? How did you overcome them? Please comment below or start a conversation over on the Living Well Navigator forums. One of the most confronting interviews I have done this year was with Glenda Ellwood-White, a 60-year-old who has been out of work for more than five years. She lives with her 23-year-old son in a granny flat in Sydney’s inner west. Her income is so low she often cannot afford meals and when she does eat, the menu is monotonous. “I often think my stomach will kill me if I have any more noodles,” so I often just have a piece of toast and a cup of tea,” Ellwood-White told me. She likens life on the Newstart benefit to being stuck “on a human hamster wheel”. We do not hear that much about the struggles of older unemployed people such as Ellwood-White, but it turns out they are likely to remain unemployed much longer than younger people. Analysis by Marcia Keegan, an economist with consultancy SGS Economics and Planning, shows that a quarter of those aged 45 to 64 remained unemployed for more than a year compared with only 15 per cent of people aged under 44. “If you become unemployed at an older age, your chances of finding a job are a lot lower than someone who becomes unemployed at a younger age,” she said. The problem is most acute for those aged over 60 – two-thirds of Newstart recipients in that age group have been out of work for more than 12 months. So why are older workers so much more likely to be unemployed long term? Prejudice is a major factor. The Australian Human Rights Commission says discrimination can be found among the job applicants as young as their mid-40s. A recent job search experience survey found almost one in five people aged 45 to 64 felt their age was the main difficulty they faced in finding work. Ellwood-White claims her long search for a job proves age-based prejudice is “rife”. Another explanation is that employers fear a short period of service from older workers. But older workers can sometimes be demanding. When Keegan explored what wages unemployed people wanted, she found older people, especially men, tended to have higher expectations than younger workers. This might encourage employers to go for younger workers, especially if they have been out of work for a long period. Disability is another factor. More than 30 per cent of workers aged 60 to 64 have some sort of disability that limits job options. In contrast, the rate of disability among those aged 15 to 24 is only about 8 per cent. The good news is that the proportion of older workers with a disability is falling – among 60 to 64-year-olds, the rate dropped from close to 40 per cent in 2003 to about 33 per cent in 2012. This year’s federal budget introduced a new policy to reduce mature-age unemployment called Restart. Employers will receive $10,000 over two years when they employ a person aged over 50 on income support for at least six months. Even so, older workers are a significant part of a growing longer-term unemployment problem in Australia. This year, the rate of long-term unemployment has climbed to 1.2 per cent of the labour force – well above the decade-long average of 0.92 per cent. 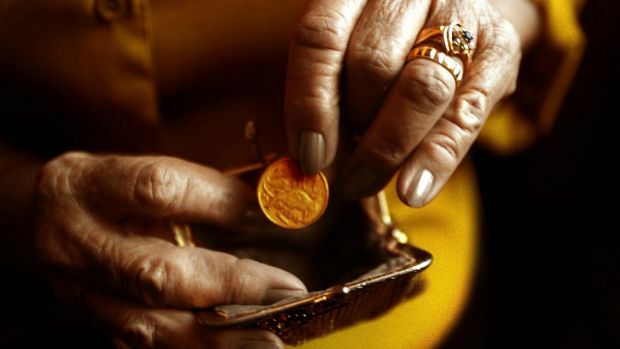 The Fairfax-Lateral Economics Wellbeing Index – which puts a dollar figure on national welfare – shows the well-being cost of long-term unemployment has surged in the past year and is now a $2 billion-a-year drag on the nation’s collective well-being. Much of the pain is being felt by those aged in their 50s, 60s and 70s. 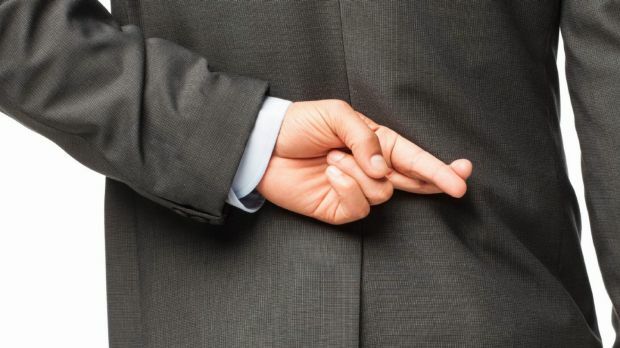 A new, Australia-based survey has found that younger workers are more likely to fake a sick day, or at least admit to it, than older workers. According to the survey from the University of Melbourne, 39 percent of workers between the ages of 18 and 24 and 43 percent of those between 25 and 34 admitted to calling in to work to take a sick day in the past 12 months. The researchers said older workers, who tended to be in managerial positions, were much less likely to take a fake sick day off. The survey also reported that full-time workers were more likely to say they had faked a sick day than part-time workers. Full-time workers also were more likely to say they dreaded coming in on Mondays. Additionally, only 19 percent of Aussies in management said they dreaded Mondays, compared to 42 percent of all employed surveyed. The University of Melbourne team said they plan to follow up with a similar poll focusing on small and medium businesses. A different study published in November found that men and women in managerial positions react differently to their elevated role. The study, from the University of Texas at Austin, found that female managers were more likely to experience increasing symptoms of depression, while their male counterparts were more likely to experience decreasing levels of depressive symptoms. The researchers noted that they considered many factors associated with taking on a management role, such as the number of hours worked and schedule flexibility. A key plank of the Abbott government’s employment strategy is on the cusp of failure, with just over 500 job seekers so far joining a scheme meant to benefit 32,000. The $10,000 Restart incentive was unveiled in Treasurer Joe Hockey’s May 2014 budget, the latest bid to tackle a policy area that has long vexed both sides of politics: how to encourage employers to hire mature-age Australians. 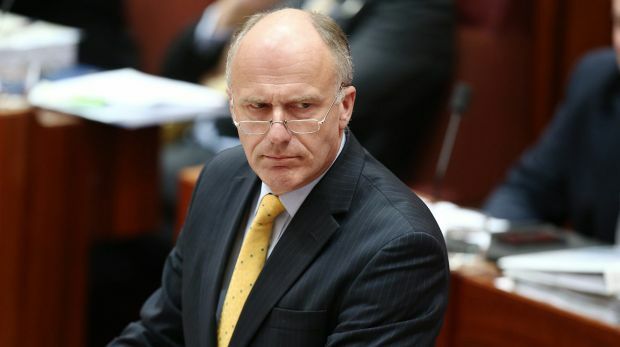 Moments after the budget was handed down, Employment Minister Eric Abetz said Restart “more than delivers on the government’s 2013 election policy commitment to lift workforce participation and improve quality of life”. It was projected to help up to 32,000 people annually. However, Senate documents show employers have hired only 510 job seekers through the scheme in the five months since its July introduction. There are nearly 175,000 Australians over 50 looking for work through Job Services Australia. The documents warn it is difficult to predict the take-up rate for the $10,000 incentive but it was “likely” demand would grow. If it does not, it’s possible the program could fall 95 per cent short of the government’s target. Job seekers aged 50 or over who have been receiving income support for at least six months are eligible. Employers who hire them receive up to $10,000 depending on whether milestones are met. The government has budgeted $524.8 million to fund the project over four years. Prime Minister Tony Abbott and Senator Abetz point to the scheme as an important component of the government’s so-called Economic Action Strategy. “As our population ages it’s more important than ever that we try to ensure older people are contributors economically as well as simply culturally and that’s what will happen under an incoming Coalition government,” Mr Abbott said during the 2013 election campaign. Senator Abetz on Thursday said the government “expects that take-up will increase as employers become aware of the programme”. “As it stands, there are more than 600 mature-aged workers in jobs today that weren’t as a result of this programme,” he said, suggesting the total number has grown slightly since the 510 figure was reported in the Senate documents. Luring more mature-age Australians into the workforce is a potential boon for the economy but finding the right policy settings to make it happen has vexed both sides of politics for many years. Under questioning at Parliament House earlier this year, Department of Employment deputy secretary Martin Hehir said programs targeting mature-age workers had proven to be “quite intractable”. Just 230 employers took advantage of a $1000 annual subsidy under the two-year life of the Gillard/Rudd government’s Jobs Bonus scheme. That program was also meant to benefit up to 10,000 employers. “So in one sense we know what has not worked in the past, and it has been quite an intractable area,” Mr Hehir said. The Abbott government’s Commission of Audit noted that the effectiveness of wage subsidies “is open to question” because they may displace other job seekers and jobs may be lost once incentives expire. Meanwhile, another job-creation scheme has also struggled to gain traction. 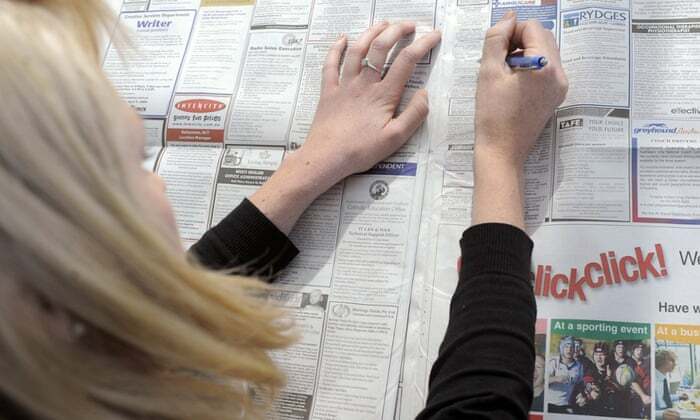 The Tasmanian Jobs Programme, which offers $3250 to employers in an effort to revive the state’s sluggish labour market, has created 114 jobs in its first year. The government said it would employ 2000 Tasmanians over two years. Opposition employment services spokeswoman Julie Collins said wage subsidies were “not enough” to support older Australians. “We have Tony Abbott telling Australians they need to work longer – but in what jobs? People aren’t taking up wage subsidies because the jobs aren’t there,” she said. The government has pledged to re-evaluate Restart in mid-2016. Should companies hire older workers? Does age matter? I’ve stumbled into many vigorous online debates over how much of a factor age is within the hiring process – it’s clear that older job seekers have a much tougher time of it.Entrepreneurs like Mark Zuckerberg have made huge success seem even more attainable for the young – are you wasting your time at college if you’re not starting your very own company? Students want guidance here and progressive universities like Stanford are responding with their very own courses on how tobuild a startup (very interesting if anyone is that way inclined).In the light of all this, younger generations are demanding more and more workplace responsibility. To make room for this, companies are taking it out on older job applicants. Is this fair? No, definitely not. Older workers can still offer plenty of value. Let’s start with the classic anti-discrimination argument – it doesn’t matter how old you are, it matters how good you are. We could almost just leave it there. I don’t think you could find anyone that would take genuine issue with that sentiment. Employees and potential hires should be judged based on what they bring to the role – nothing more, nothing less. It isn’t just a detailed Roladex that makes your older employees so important, their capacity for mentorship is also essential. The importance of effective training and development in the workplace cannot be overlooked. People are the one resource that will ultimately set your company apart – you need to help them unlock their potential. Mentorship schemes are great to add extra value on top of standardised, HR led training schemes. Personal relationships between younger and older employees can go a long way to help strengthen company culture and increase retention rates. Morgan Stanley ran a successful scheme to retain female employees in their sales department by selecting leaders from different departments to brainstorm a curriculum and consider what characteristics create great company employees. The wisdom and value imparted by these senior employees was vital in keeping top talent at the company. One of the first questions that most young people will ask when interviewed will be – ‘how much responsibility will I get in my new role’. Gen Y in particular are especially interested in being granted ownership of their work. How does this affect older employees? At some point you are going to need to pass on responsibilities to younger members of your team or risk them leaving for a competitor. This is often why older job seekers are turned away – companies are unsure how long their tenure will be and are unwilling to jeapordise younger workers’ development. It’s often easier for companies to favour younger applicants because of their familiarity with technology. The number of roles that require digital natives is growing, and technical skills are at a premium. It’s therefore much easier to hire Gen Y-ers who have a greater level of understanding. Often employers don’t want to invest in training older employees to get them up to speed. They don’t think about the value that an older worker could provide if given flexible hours and allowed to get to grips with the new requirements of their role. We need to put aside any ideas that older workers are ‘past it’. They are typically vibrant, energetic and experienced – they have a lot to offer. Swallowing a few extra training costs would give employers access to a whole new talent pool – definitely worth it in my opinion. Social, economic and technological changes have all conspired to create what’s been labelled a ‘fluid workforce’, in which workers – young and old – need to be prepared to change jobs over the course of their careers. But how does someone who’s been working in the one field for 20 to 30 years reinvent themselves? If you’re serious about an encore career, here’s how you can get started. Consider what you are good at and what interests you. Compile a list of industries to match. Do some research. To start, go onto job sites, explore some of the roles and companies in that area. This should help provide some insight into the array of roles available in those fields. See if you can get in touch with industry associations or try speaking to people who actually work in the field to get a realistic picture of what is involved in the encore career you’re considering. Look into related courses – whether it’s a short course or a formal qualification or certification. Find out if there are any prerequisites for the roles you are attracted to and see how you can go about addressing this. Consider volunteering your time or services for a company or business you admire to gain practical experience and make contacts. Once you’ve laid the groundwork it’s time to start approaching employers, or launching a business and attempting to attract customers. Chances are you’ve acquired many transferrable skills, so make sure to highlight them on job applications or in your promotional material. Don’t let fear of ageism stop you highlighting your work and life experience – the wisdom and maturity you have gained is a valuable selling point. Have you embarked on an encore career? How challenging did you find the transition?Please comment below or start a conversation over on the Living Well Navigator forums.